Police have arrested two suspects following reports of a distraction burglary in Seaford and rogue traders operating in Saltdean on Wednesday (January 16. Tyson Price, 26, a roofer, of Christian Square, Windsor, Windsor and Maidenhead, was arrested yesterday (Thursday, January 17) and remanded in custody to appear before Brighton Magistrates’ Court today (Friday, January 18) charged with fraud by false representation (£550 cash) and theft (cash and ornament to value of £80). 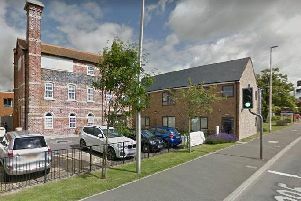 Junior Jones, 21, a builder, of Stortford Road, Little Hallingbury, Essex, was arrested on yesterday and remanded in custody to appear before Brighton Magistrates’ Court today (Friday) charged with fraud by false representation (£550 cash), theft (cash and ornament to value of £80) and driving with no insurance. Both defendants have since been released on bail to appear at Lewes Crown Court on February 15.